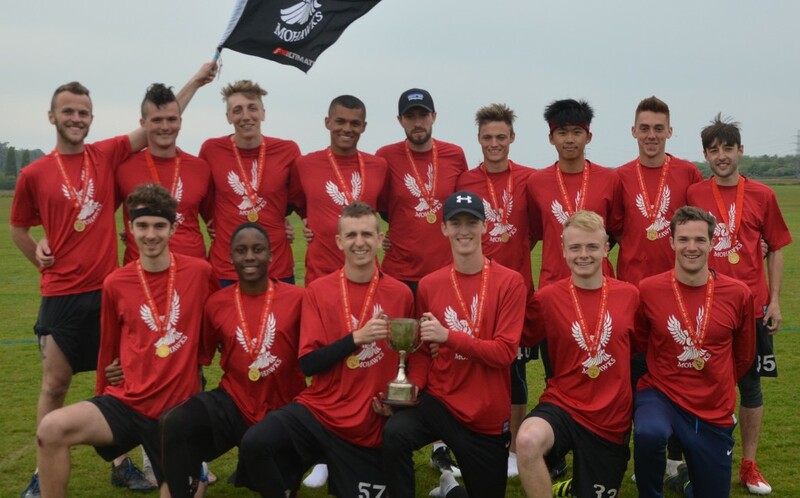 University Outdoor Nationals took place in Nottingham this weekend, with Sussex Mohawks and UCL winning in the Men’s and Women’s divisions respectively. 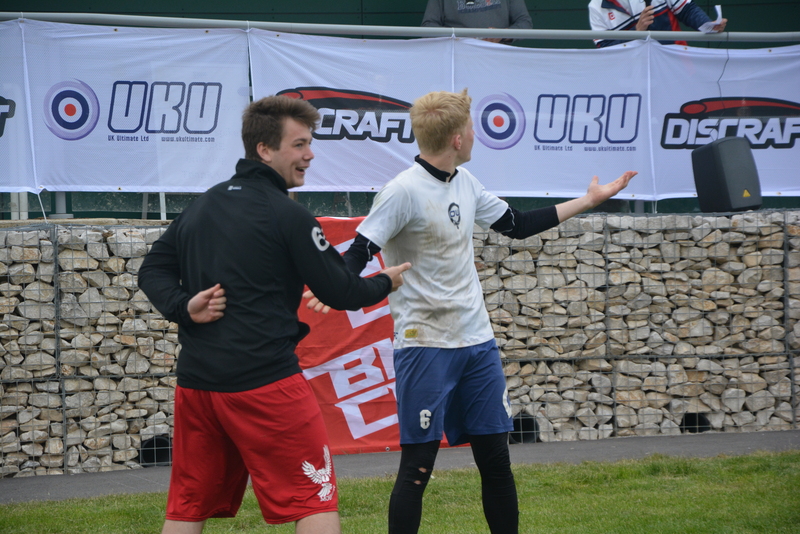 Sussex faced St Andrews in their quarter final due to losing to Strathclyde in the group stage. It was a rematch of the Uni Indoor Final from earlier this season, with both teams programs culminating in a big year this year. The Brighton-based team saw the indoor champions off 7-4 in a well spirited match, went on to beat Birmingham 9-6 in the semi final using their alternative approach to defence, before facing Bath in the final – a rematch from the group stage. 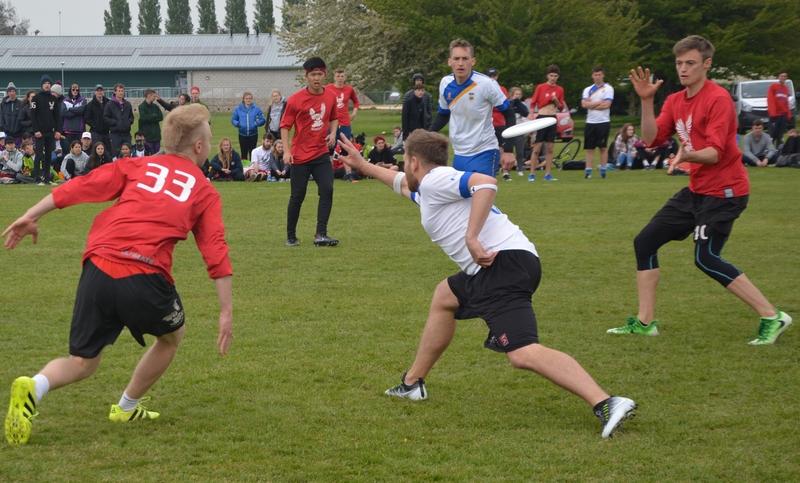 Both teams scored upwind multiple times, Sussex were able to take half with an incredible trailing edge catch from Luis Semple (below), and saw the game out 9-7 to take the National Championship title. 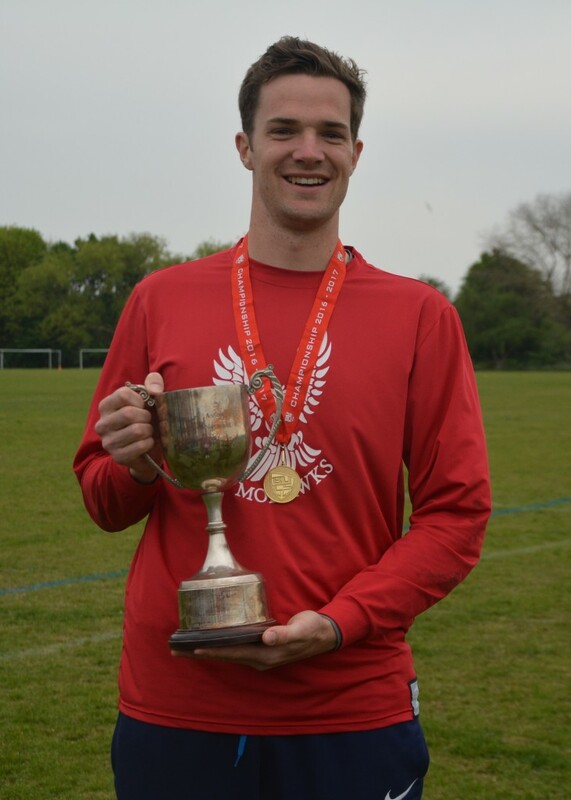 This is the 4th Uni Men’s Outdoor title Sussex University have won – their third in the last 7 years with Felix Shardlow as coach (joined this year by John Maule and Glen Newell). 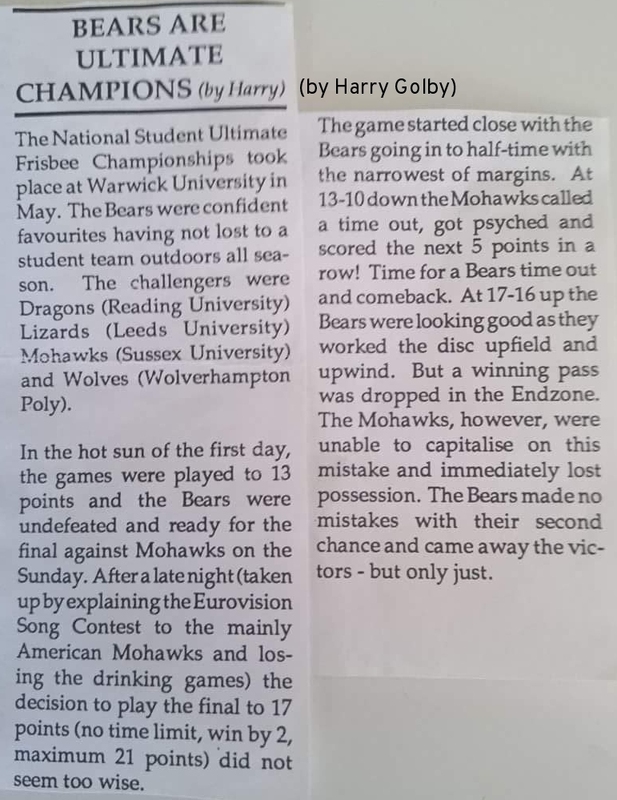 Sussex now hold more Uni Open Outdoor titles than any other university in history. UCL Women came in with a small squad with the aim to use Nats as a development tournament for many of the freshers on the team. Despite losing some star players this past year, including Vanessa Lowe (Iceni), Alison Walker (ex-Iceni/Deep Space), Ruth Kilsby (on a year abroad in Texas), the team gelled and brought together a zone which threw off many of the teams they faced. On offence Alix Henry was instrumental, throwing many hucks. For some more perspectives, check this reddit thread. Footage: I will be posting footage here when it surfaces – if you have any then please send me the links! 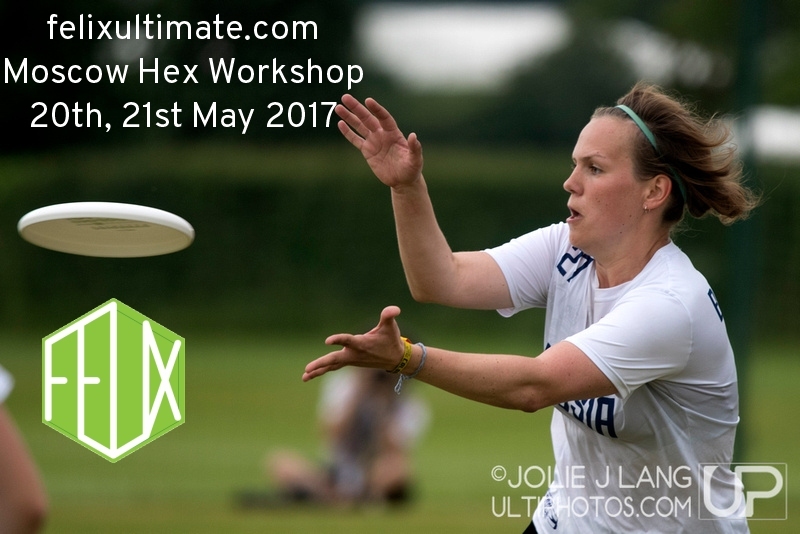 Two short videos are available on the UK Ultimate Sofa Sideline group. 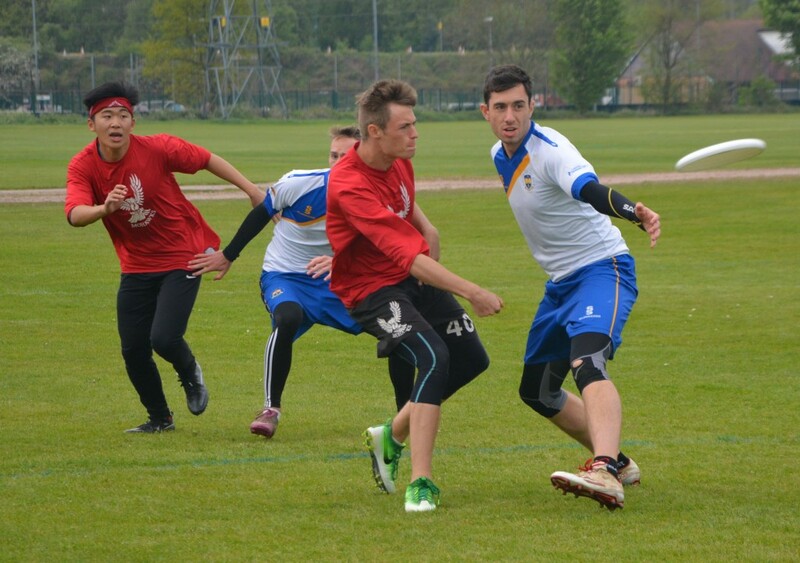 Congratulations to all the teams and players for another fantastic BUCS Championships in Nottingham last weekend. The famous Nottingham wind made for very different conditions on Saturday and Sunday, but the standard of play was high throughout. 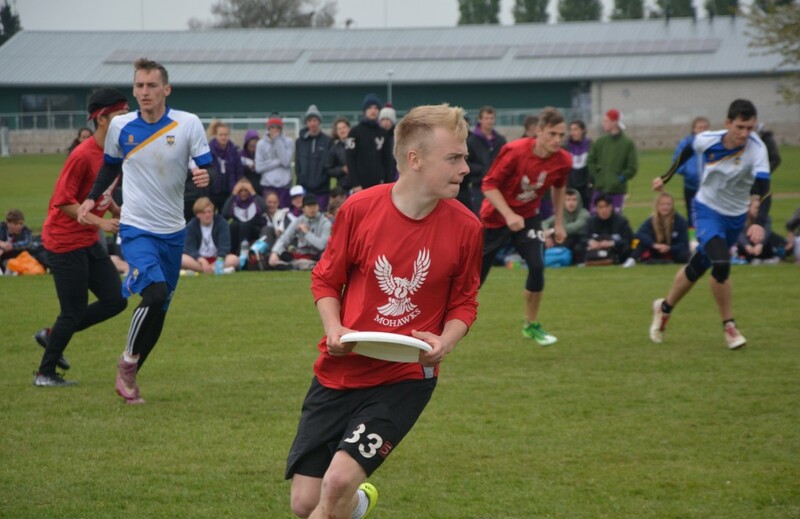 In the Men’s Championships, Sussex won their third title in 7 years with victory over Bath in the final, recovering from a pool play defeat on Saturday to power through the bracket. Glasgow took the bronze with their second victory of the weekend over Birmingham. Nottingham won the Men’s Trophy, in theory making them the best 4th placed team in the BUCS leagues and the most unlucky to miss out on Division 1 due to their tough region – except that their final opponents, Edinburgh, were actually 5th in Scottish 1A, and Scotland 4 (Strathclyde) made it as high as 5th in the Championship! Surrey took home the bronze. In the Women’s Trophy, Huddersfield dominated from start to finish, with their closest result a comfortable 8-3 win over Southampton in the final. Bath took the bronze. In the Men’s Conference Cup, the top 4 teams were very closely matched, with Oxford eventually seeing off Newcastle in the final and Southampton taking the bronze over Sheffield.